Abderrahmane Sissako’s work is suffused with humanism and social consciousness and explores the complex relations between North and South as well as the fate of a much-beleaguered Africa. He crosses cultures and continents: born in Mauritania in 1961 and brought up in Mali, he went to Soviet Union to attend the VGIK film school in Moscow. 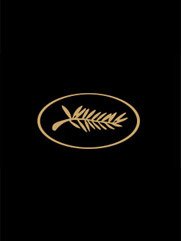 He shot there his first shorts: his graduation film The Game (1989), followed two years later by the 37-minute October, shown at the Festival de Cannes in 1993 (Un Certain Regard). In the early 90’s Abderrahmane Sissako settled in France. In 1998 he directed Life on Earth, featured at the Directors’ Fortnight. His film Heremakono (Waiting for Happiness) was selected at Un Certain Regard in 2002 and received the FIPRESCI award. He returned to Cannes in 2006 with Bamako, presented Out of Competition. In 2014 his latest film Timbuktu was screened in Competition and aroused great emotion at the Festival. It became Mauritania’s first entry to be nominated for Best Foreign Language Film at the Academy Awards (2015), and won seven César awards in France, including Best Director and Best Film.